This version of Loose Deuces is a very realistic online video poker game, even with the huge payouts it offers. This game is available for single hand, three hand, ten hand, and fifty-two hand play. 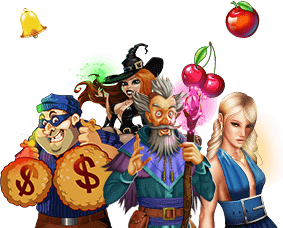 It can be played by downloading Slots Of vegas' software OR by playing on our web-based casino. You can play Loose Deuces for real money or play money. This game follows the rules of Jacks or Better video poker with a slight variation in the paytable and there is no wild card. Looking For a Loose Game? Play Loose Deuce and Win! If you enjoy playing Deuces wild, loose deuces will be another fabulous treat for you. The Deuces Wild is played in the same manner as deuces wild and it adds a bonus payout for 4 deuces. The Loose deuces is a standard video poker game. In the game all the four 2's act as wild cards, and convert into any card in the standard deck which gives you the best possible payout. The trade off for the bonus payout is a small loss in the straight flush and flush hands. There is also a royal flush played with the maximum number of coins. In this game the maximum amount of coins is 5. The coin denomination can vary and makes the game either relatively inexpensive or somewhat in a high limit. Basically you are looking at least $1.25 per hand, although it might be found cheaper in certain online casinos. The fifth coin only pays additional if you hit a royal flush, and the advantage is a bit less than average, however it is still large enough to make a difference. Some tips for Loose Deuces are that firstly, you not only get an opportunity to win the jackpot of 4000 coins if you get a Royal Flush on the highest betting limit, but can also double your winning amount with the Double or Nothing Bonus feature. To maximize your bet and winning odds, you have to hold the cards that can build the best winning hand possible. Another important tip is that when the cards are dealt and you find that you have two pairs, you should not hold them because the two pairs will restrict the opportunity of drawing a Four-of-a-Kind. Two pairs may fetch a Full House but the odds of getting it are very low. Royal Flush: Highest possible flush of A-K-Q-J-10 in same suit. Can also be called a royal straight flush but this is not proper. Max Bet: The maximum bet that you can place on a video poker machine is called the max bet. Full House: A valuable poker hand that involves all five cards, with three cards of one rank and two of another. The three cards determine the hand's rank. Deuce: This is a basic term in video poker and other games, deuces are the two denomination cards in the deck. Hand: The cards dealt are called a hand. In this great video poker game, 2s act as a wild card, substituting for any card to make a winning hand! Want to play for free without having to open an account or deposit a single cent? Slots of vegas is the place! You can play free Loose Deuces instantly through our website and enjoy endless hours off free play 24 hours a day, 7 days a week.